Create file requirements.txt, add “Flask” to it. Press CTRL+C to stop the application. 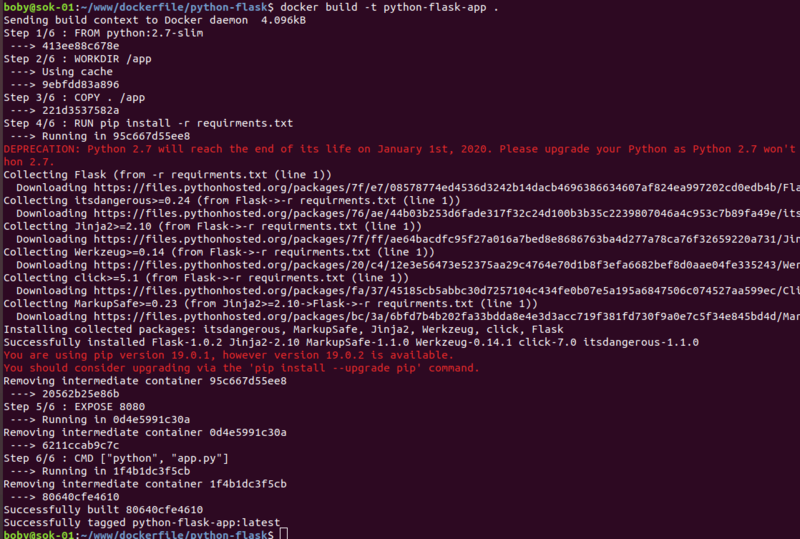 docker build -t python-flask-app .